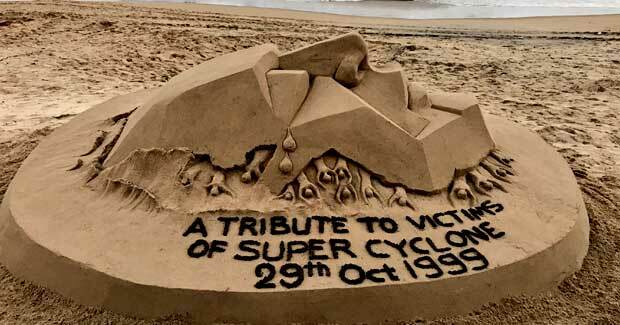 Sudarsan Pattnaik today paid tributes to the victims of super cyclone in Odisha in 1999 through a sand art at the Clean Beach Festival in Paradip. 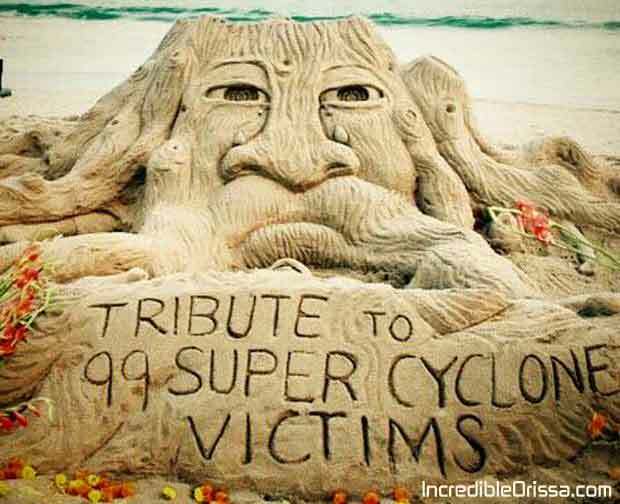 Notably, 17 years ago on this very date, a category-5 cyclonic storm hit Odisha killing more than 10,000 people. The super cyclone, centred over coastal areas of Odisha for three days, was accompanied by torrential rain as a tidal surge of about 7 to 10 metre swept more than 20 km inland. At least 13 million people, including 3.3 million children, 5 million women and nearly 3.5 million elderly people were affected in the nature’s fury. While 16,50,086 houses were damaged, 23,129 houses got washed away, 7,46,337 houses were fully destroyed and 8,80,620 houses partially damaged. Devastation of the super cyclone that impounded the State 17 years back is still fresh in survivors’ memories and continues to haunt them.